The oldest deck of cards in the world has been stolen from the Museum of Ancient History. These mysterious cards are so powerful that they can withstand all the evil forces. But on one condition: not a single card should be missing from the deck. Now the cards that contain the unfathomable wisdom of the past and omnipotent knowledge of the future are scattered all around the city and it is up to you to find each card to create a deck before they fall into the hands of the villain. Download free full version solitaire game today and save the world while enjoying an exciting mix of hidden object and solitaire! 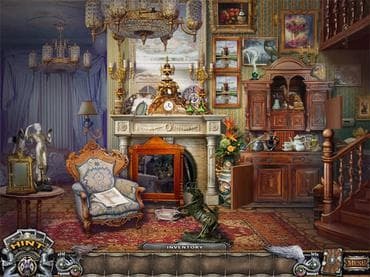 Free Game features: - Enjoy a unique combination of hidden object and solitaire; - Experience two types of solitaire; - Play four different kinds of cartomancy; - Unravel the mystery behind each card; - Choose a solitaire-only mode. If you have questions about Solitaire Mystery: Stolen Power game, please contact us using this form.